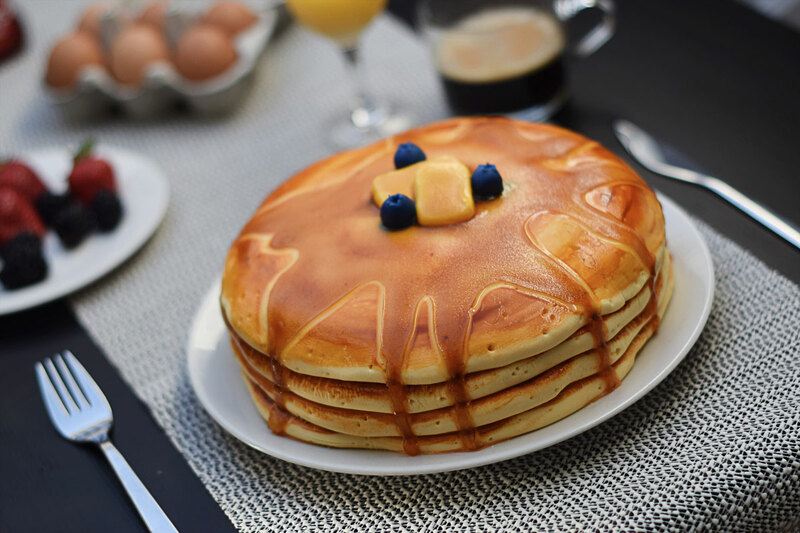 Only a few days to go until Pancake day! I never really knew about this occasion until I moved to the UK, but then again, do we really need an occasion to make a pancake cake? 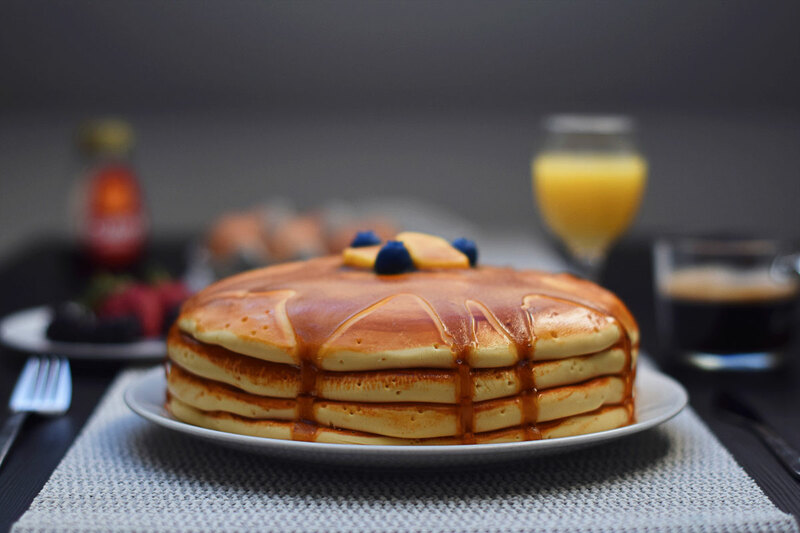 Although this pancake stack might look like a few fluffy pancakes thrown together, it is actually a maple cake with chocolate chips, covered in fondant and maple jelly. You can find all the details below, enjoy the recipe! 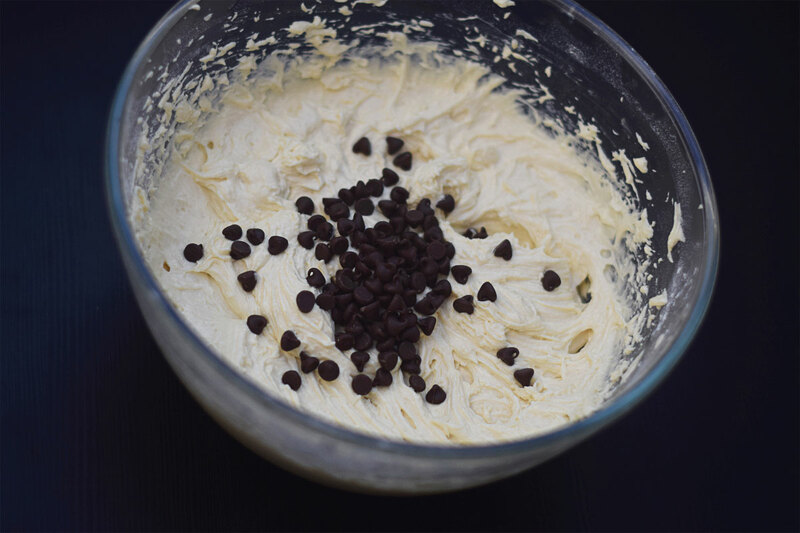 Mix room temperature Butter and Sugar together until you get a foamy buttercream like texture. Add Eggs and vanilla and mix again. Add flour and baking powder and mix again. Finally incorporate chocolate chips, separate the dough into 2 pans and bake for 20-25 min at 180C. Once baked, drizzle both cakes with Maple syrup. 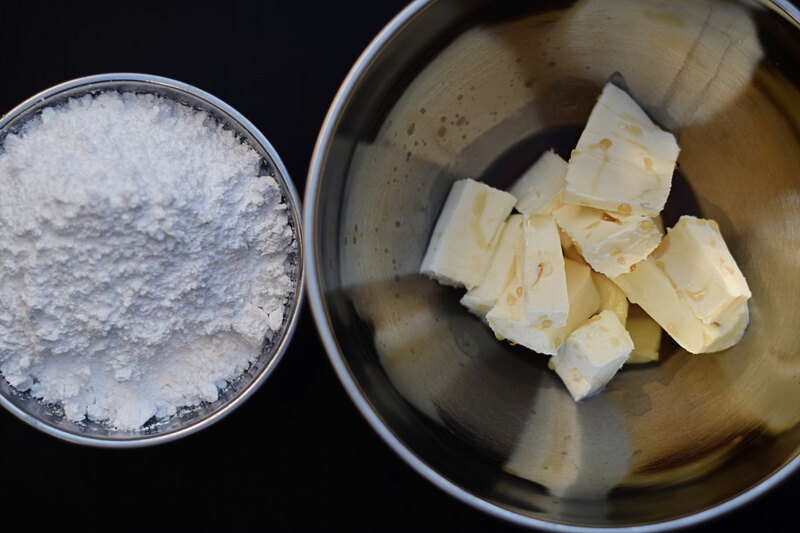 Mix all ingredients together, until the buttercream turns from yellow to white and is nice and foamy. Place buttercream inbetween cakes, and cover the whole thing in buttercream after. 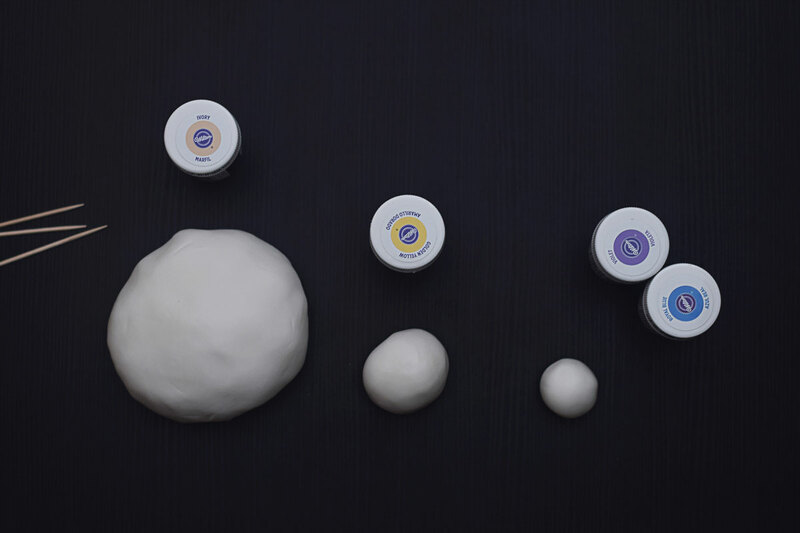 Separate a tiny bit of fondant for your “butter pieces” and “blueberries”. Use yellow food colouring for the butter, and mix purple and blue for the blueberries. Set aside. Use a bit of ivory and a bit of yellow to mix into remaining fondant for the pancake colour. Measure the circumference of your cake and roll fondant into desired pancake thickness. Place the fondant rolls around your cake and press firmly to make them stick. Use a brush for the ivory food colour mixed with a bit of water to paint the top of your rolls brown. Use something small to pinch holes into each fondant layer for a nice “bubbly” pancake look. 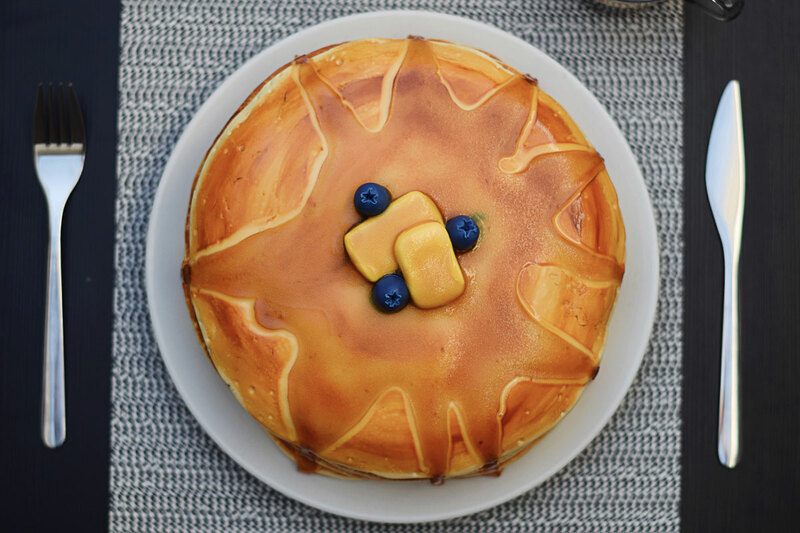 Finally roll out a flat circle and place on top of your cake. Paint and pinch accordingly. Place the 2 butter pieces in the middle of the cake. Make sure the cake was in the fridge or freezer before making the jelly, as this will help the jelly to set much quicker and stay in the desired shape. Bring apple juice and agar to a short boil in order to dissolve the agar. Add maple syrup and wait for the mixture to start setting slightly. Make sure the mix isn’t boiling hot anymore and start pouring over the cake, slowly, starting from the butter pieces in the middle. Once completely set, place blueberries around the butter pieces. Done! Now dig in! 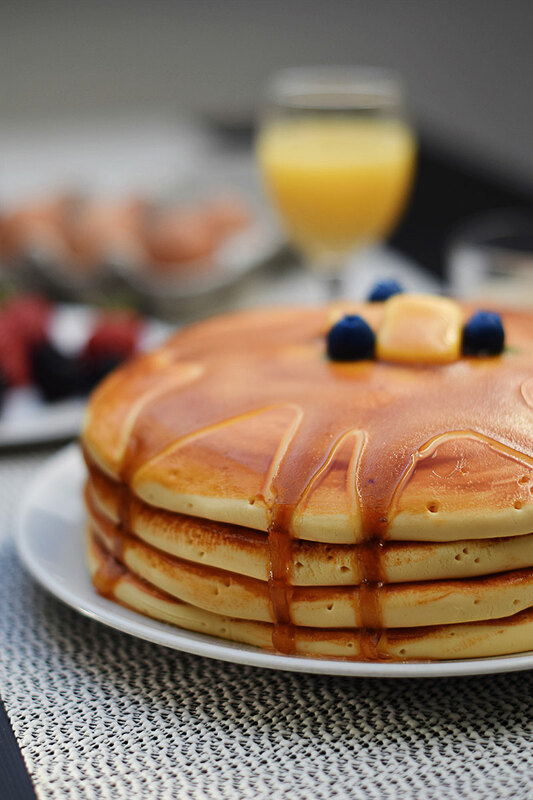 Although this pancake stack might look like a few fluffy pancakes thrown together, it is actually a maple cake with chocolate chips, covered in fondant. Add flour and baking powder and mix again. Finally incorporate chocolate chips, separate the dough into 2 pans and bake for 20-25 min at 180C. Once baked, drizzle both cakes with Maple syrup. Mix all ingredients together, until the buttercream turns from yellow to white and is nice and foamy. Place buttercream inbetween cakes, and cover the whole thing in buttercream after. Separate a tiny bit of fondant for your "butter pieces" and "blueberries". Use yellow food colouring for the butter, and mix purple and blue for the blueberries. Set aside. Use a bit of ivory and a bit of yellow to mix into remaining fondant for the pancake colour. 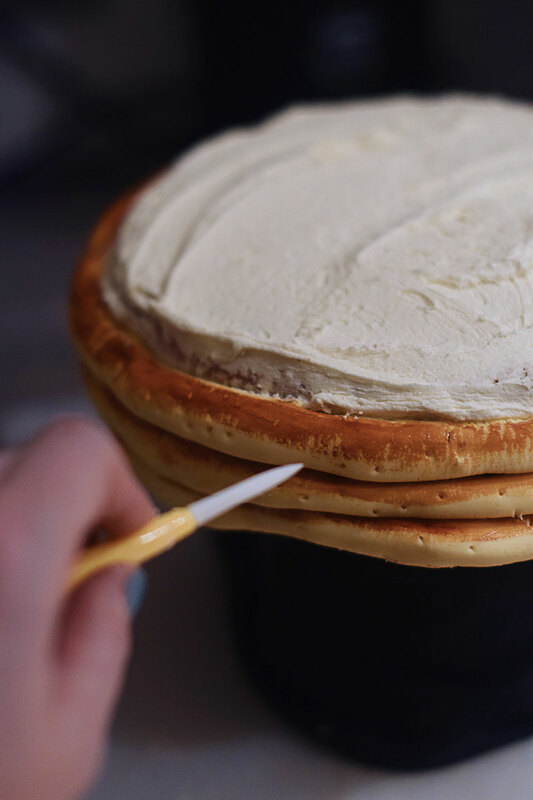 Measure the circumference of your cake and roll fondant into desired pancake thickness. Place the fondant rolls around your cake and press firmly to make them stick. Use a brush for the ivory food colour mixed with a bit of water to paint the top of your rolls brown. Use something small to pinch holes into each fondant layer for a nice "bubbly" pancake look. Finally roll out a flat circle and place on top of your cake. Paint and pinch accordingly. Place the 2 butter pieces in the middle of the cake. Make sure the cake was in the fridge or freezer before making the jelly, as this will help the jelly to set much quicker and stay in the desired shape. Bring apple juice and agar to a short boil in order to dissolve the agar. Add maple syrup and wait for the mixture to start setting slightly. Make sure the mix isn't boiling hot anymore and start pouring over the cake, slowly, starting from the butter pieces in the middle. Once completely set, place blueberries around the butter pieces.